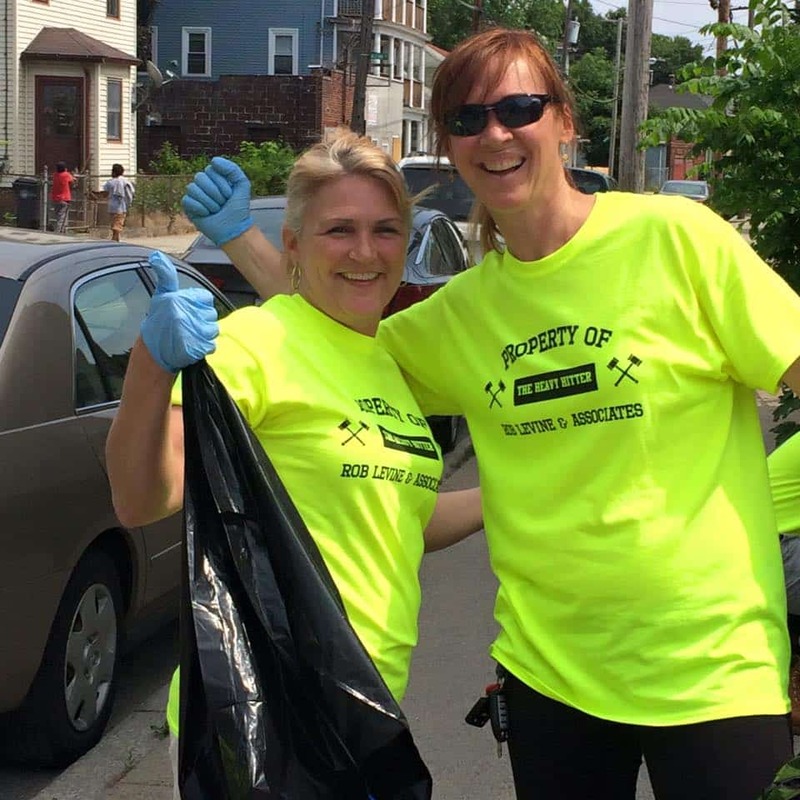 Rob Levine & Associates Clean-Up Team Spruces Up Providence Neighborhood! Rob Levine & Associates recently organized a community cleanup in the neighborhood surrounding its Douglas Avenue office. The Clean-Up event took place on the afternoon of Friday, June 12, 2015. About 30 employees donned bright green tee-shirts and patrolled the sidewalks and streets to clean the debris and litter gathered there over the winter months. “We believe in making a positive impact on the communities in which we live and work,” said Rob Levine. “Our employees regularly support the area businesses, and we wanted to do something for the residents as well.” A video was created to capture the event, and can be seen on the firm’s Youtube channel here. Employees were treated to food and beverages from fellow Providence Chamber member businesses after the Clean-Up. Many thanks to Narragansett Beer and Pizzeria Uno Providence for the delicious refreshments! Rob Levine & Associates specializes in Personal Injury throughout Rhode Island, Connecticut and Massachusetts, as well as Social Security Disability and Veterans Disability throughout the country. As “The Heavy Hitter ®” Rob Levine not only works hard on your case, but also believes in making a positive impact in the communities he serves. Through internal resources, education and volunteerism, Rob Levine & Associates strives to help prevent accidents, as well as raise awareness around the needs of our elderly and returning veterans. For more information visit www.roblevine.com , call 401.529.1222 or toll free at 888-533-7507.